As I’ve mentioned before, I don’t eat any beef or pork so I eat a LOT of chicken. Therefore, I’m always interested in any new way to prepare chicken that’s not boring or ho-hum. 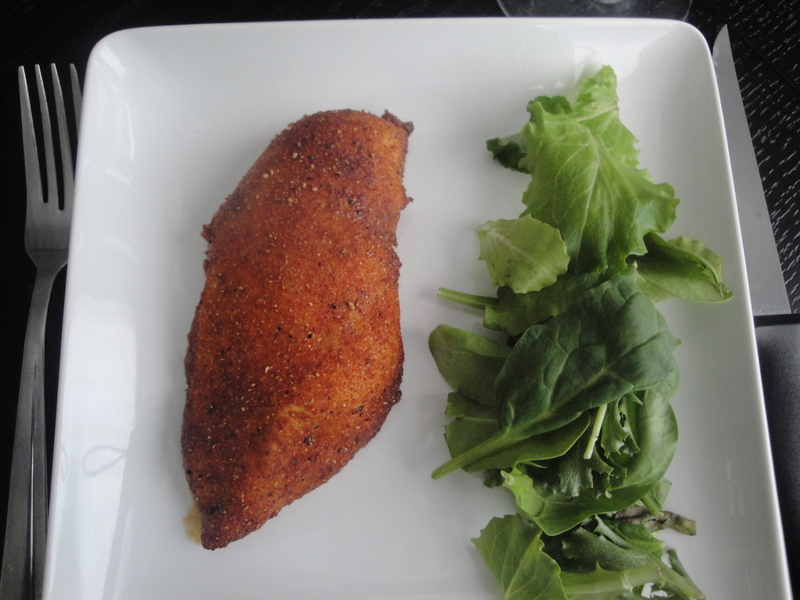 I have a fully stocked spice cabinet so this recipe for Spice-Rubbed Chicken was a no-brainer for me. 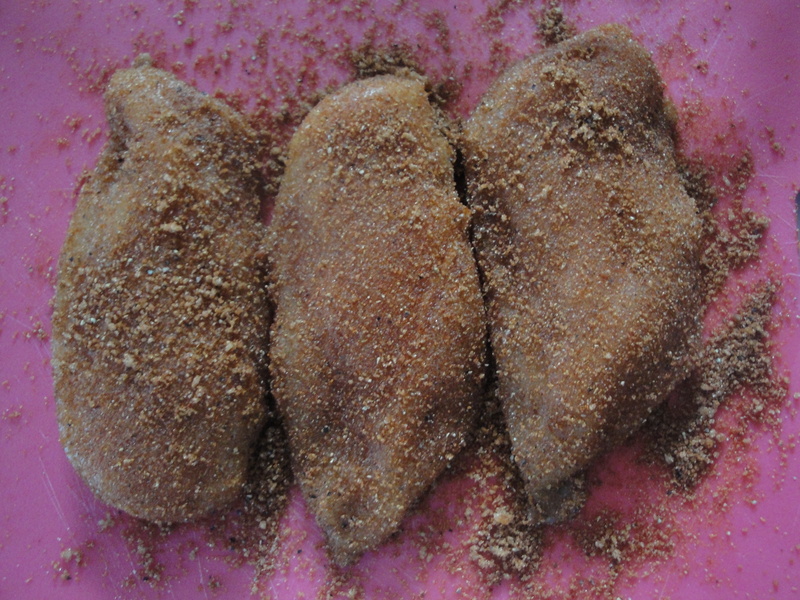 Brown sugar is mixed with paprika, coriander, garlic powder, cayenne pepper, salt and pepper and rubbed on chicken breasts and baked until fully cooked. This spice mixture is sweet and spicy and utterly tasty. 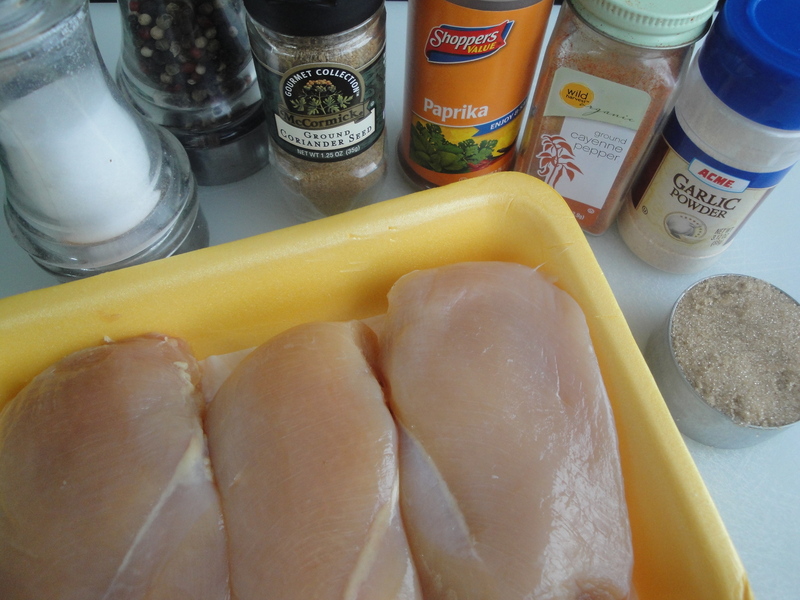 The recipe calls for 16 chicken breasts (really?!?) but I only baked up 3 and still made the full amount of spice mixture that it called for. I plan on keeping the rest in an air-tight container for future use because I will make this again. Whip some of this up and tuck it away for those nights when you just don’t know what to do with those chicken breasts that have been sitting in your fridge for a couple of days and either need to be made or frozen. Serve this with a salad or side of veggies and you’ve got a quick meal for last minute guests as well. They’ll be impressed! 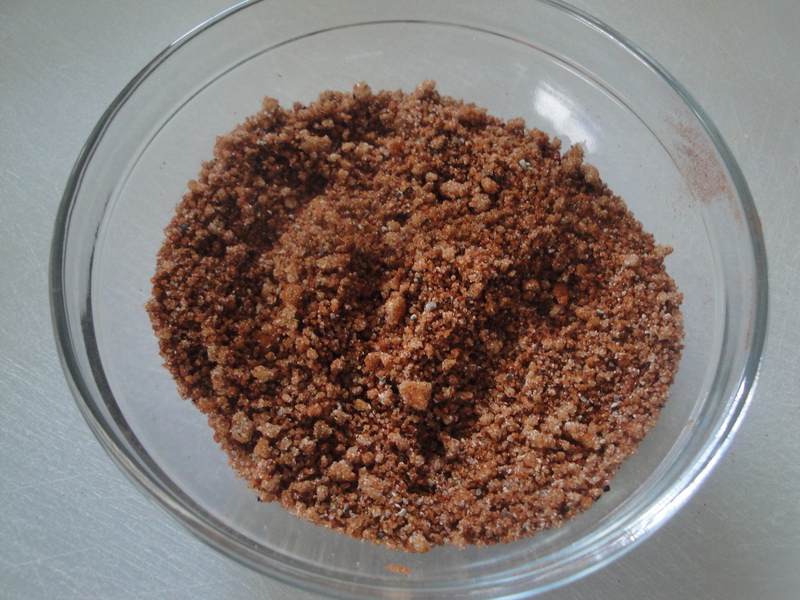 Mix the brown sugar and all of the spices in a small bowl. 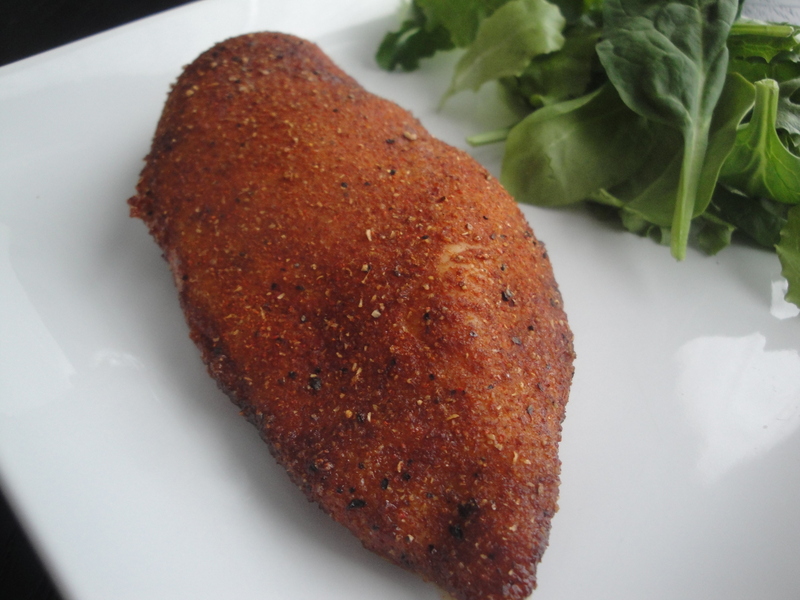 Lay chicken breasts flat and light rub each side with a little bit of vegetable oil (or spray with non-stick spray). 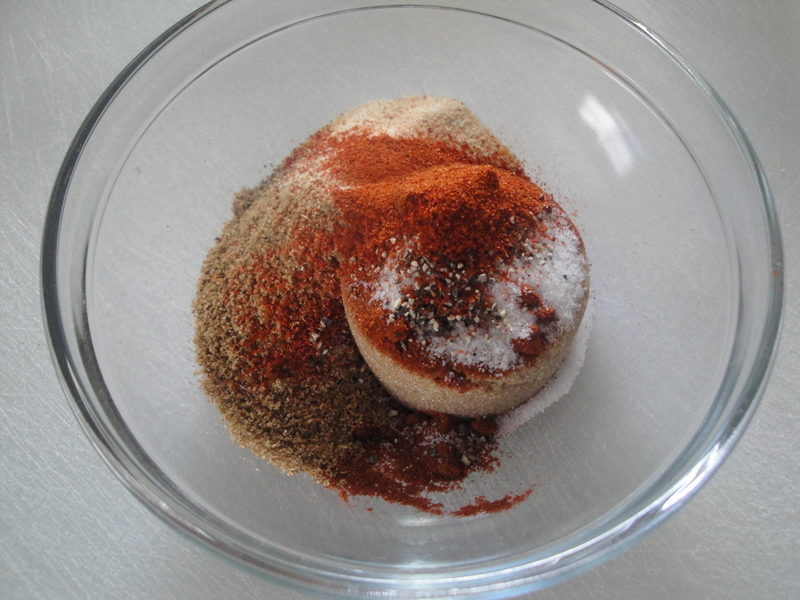 Sprinkle the spice mixture on the chicken and rub until the whole side is coated. Repeat on the other side. Refrigerate chicken for 15 minutes and place chicken on a baking sheet. Bake for 15-18 minutes (or until a meat thermometer reads 165ºF – 170ºF) in a 400ºF oven (mine took only about 15 minutes). That looks excellent. It would be fantastic with a whole chicken also, I guess. This is something we would love… Also eat a lot of chicken and am always looking for something new to do with it.